Let’s say that you have finished with your CRM free Trial and you want to buy paid version of Microsoft Dynamics CRM and you already have an important piece of data that you want to use and reuse. What is the easy way to deal with this? 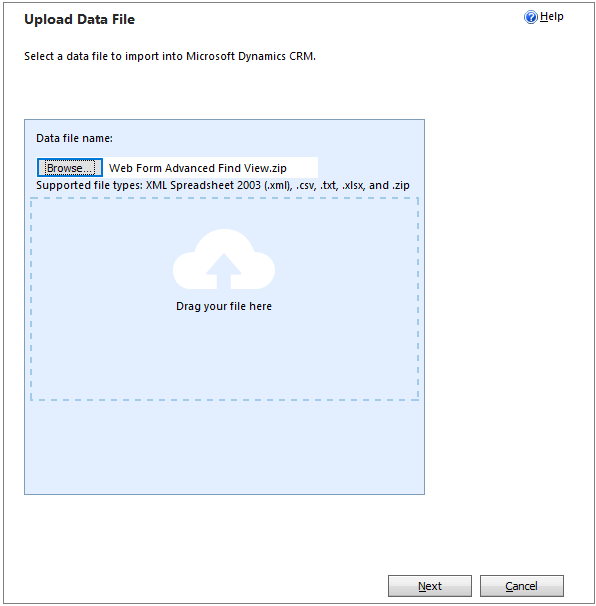 Exporting the data will enable you to move the data (entity records) between two or multiple CRM instances from same entities that can be a part of the same solution imported to desired CRM instance. 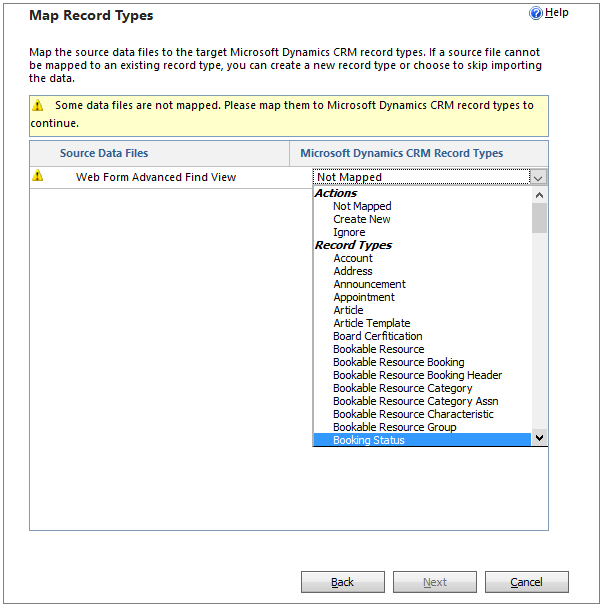 The Advanced find of Dynamics CRM is an easy way to access the Export functionality. Click on the Results icon, and if the data matches to the one you want to import click to the Export icon and save the data to .xlsx format. Now transform .xlsx file into xml format. To do that, open the file in Excel, and choose save as XML Spreadsheet 2003. Right – click to a newly created file and compress it into a .zip file. Now we have a Web Form Advanced Find View.zip file. It is worth to mention that you can simultaneously import records for two or more entities. Just repeat the steps inside the Advanced Find functionality and for creating additional xml files and compress it to one .zip file. Then we can navigate to other CRM instance and open the Import feature by selecting Settings / System -> Data Management -> Imports, and selecting Import Data icon. The newt window for Uploading Data File will appear. Click Next and select entity from Record Type list to match the one selected from the Advanced Find functionality. 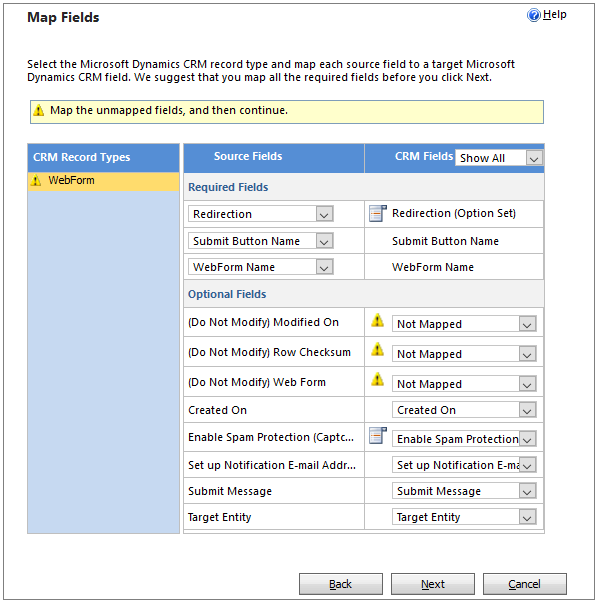 Map the unmapped required fields at least before clicking the Next, review all the Settings and Import Data and click Submit. Enter the Name to save the Data Map for future imports. Navigate to Imports to check the Status. 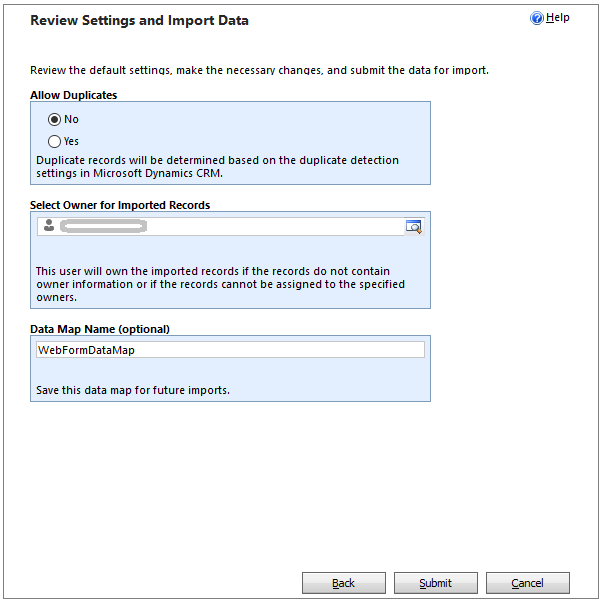 When the status is set to Completed review the imported data onto selected entity and view.